 The City of Auburndale’s Public Utilities Department is responsible for providing several water utility services to residential, commercial and industrial customers within the city limits of Auburndale and our surrounding utility service area. The Department is divided into 4 sections: Utility Billing, Water, Wastewater, and Conservation. Utility Billing is your hub for all water-related services. This department handles customer applications to initiate water & wastewater services and collects payment for fees related to those services. 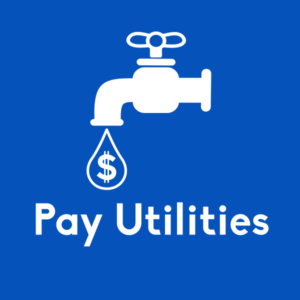 Utility Billing also takes in requests for repairs and support related to water & wastewater service. If you experience leaks, line breaks, or a lapse in your water service you can reach Utility billing at (863) 965-5500. Also, check out EyeOnWater to learn how you can use automated meter reading technology to stay on top of your household’s water usage. Our Water Division is tasked with providing high-quality, potable water to our customers. Three water plants are utilized to service the entire utility service area of Auburndale. Our water supply consists of 7 deep production wells that draw water from the Floridian Aquifer. These facilities use a forced air degasification system to remove hydrogen sulfides prior to the addition of chlorine for disinfection and fluoride for dental health. These facilities distribute more than 1.6 billion gallons of water to our customers annually. The Wastewater Division consists of two plants, which treat and reuse water that is collected through the city’s sewage system. The Auburndale Allred Wastewater Treatment Facility, located on Recker highway uses an aerated, activated sludge process and ultraviolet light system to obtain high levels disinfection. The Allred Facility has a capacity of 1.4 million gallons per day (mgd) and the treated effluent is discharged as reuse water to the Calpine Power Plant and Lake Myrtle Sports complex. The Regional Wastewater Treatment Facility is located on Spring Road, West of Berkley Road. This plant is a sequencing batch reactor (SBR) facility designed to provide advanced treatment, with a current permitted capacity of 4.0 million gallons per day (mgd) and 3.57 mgd of effluent disposal/reuse capacity. A portion of the treated effluent is discharged as reuse to the TENOROC Fish and Wildlife Management Area to assist with wetlands restoration. The Water Conservation Division is responsible for implementing programs and distributing information that helps our residents save water. They work with the Polk Regional Water Cooperative to aide in our collective goal to secure water resources for our future. Check out their page to learn about incentive programs and complementary tools that may reduce your water usage and help you save money!